Love what I have seen of the comic so far, and just want to point out that it is difficult to tell the colors apart in many cases. My recommendation would be to change to a more prominent, and unique color for each nation/sub-nation and use patters of a darker color to differentiate them even further. 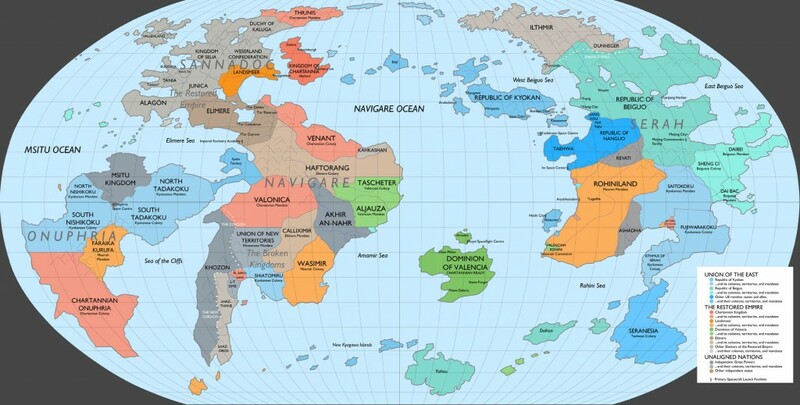 I do like the world however, having worked on some ideas myself I know how hard it is to produce sensible and workable world maps, and I applaud you on this work.